As we approach the off season on the Gulf Coast, the landscape of activities and attractions shift slightly as some tour and rental companies close up. However, one activity that stays open year round is sailing. The Destin Harbor is a prime location for people looking for sailing adventures. The close proximity to the Gulf and Bay makes for an adventure that has a lot to offer. As the temperate cools down some, the cool breeze is relaxing and makes for a comfortable trip. 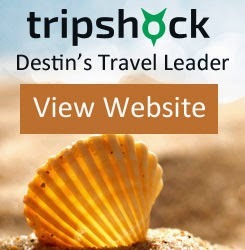 Book your Destin Sailing Adventure on TripShock and save up to 30% on select charters. Rates start at $165 for a 2 hour trip up to 6 people.